The St. Louis Cardinals have been using a bunch of analysts alongside play-by-play broadcaster Dan McLaughlin in recent years. This past season, five analysts called at least 20 games, a dizzying array that most MLB teams can’t even come close to matching. One of those analysts is long-time Fox Sports national analyst Tim McCarver, who has been calling games in St. Louis on a part-time basis since he parted ways with Fox after the 2013 season. But McCarver’s future with Fox Sports Midwest is up in the air after five seasons, and he may not return in 2019. 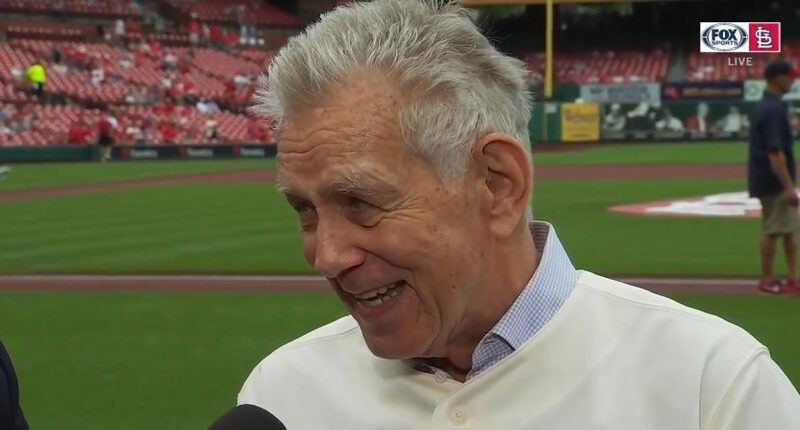 As per the St. Louis Post-Dispatch, McCarver’s contract ended after the 2018 season, and the soon to be 77-year old doesn’t know if he wants to come back for another year. All of the games McCarver calls are on the road (because he lives in Florida), and he thinks his health will be the main factor as to whether or not he decides to return if given the opportunity. “I feel OK now, but I’m a just spectator watching the (postseason) games, and that’s what I’ll be doing all of October,” he said. “Whether I feel good, whether I feel up to it,” would play a big role in a decision. McCarver’s potential departure isn’t the only possible change for Cardinals broadcasts on Fox Sports Midwest in 2019. The Post-Dispatch reports that McLaughlin’s contract is also expiring, though he’s in line to return, and that Al Hrabosky, another member of the parade of analysts next to McLaughlin, may be shifted into a studio role next season. Change for the sake of change isn’t always the best strategy, and it’s important to note that the Cardinals still finished the 2018 season with the highest local ratings in MLB. But with five regular TV analysts, it can be difficult for viewers to develop an attachment to any one pairing, and you run the risk of alienating viewers. Furthermore, it could also be tough for the regular commentator (McLaughlin, in recent years) to develop a consistent rapport with his analysts if he’s working with a different analyst every week. We’ll keep an eye on this situation. For now, it certainly appears like the Cardinals plan on streamlining their booth a little bit more this offseason, which should end up resulting in a better broadcast during the 2019 season.